Our mobile branch platform blends the functionality of a traditional lobby environment with the mobility of an MBSystem. Teller, new account, and ATM services can be provided via a single mobile branch unit - which explains why mobile branches have quickly become an integral part of disaster recovery plans nationwide. Our Full-Size mobile branch unit is a bus-based system that features ample interior room for teller and new account service areas. 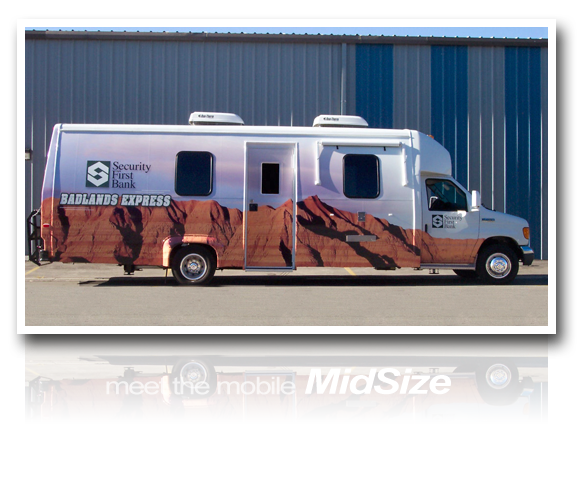 At up to 45 foot in length, the unit’s exterior acts as a true “mobile billboard”. 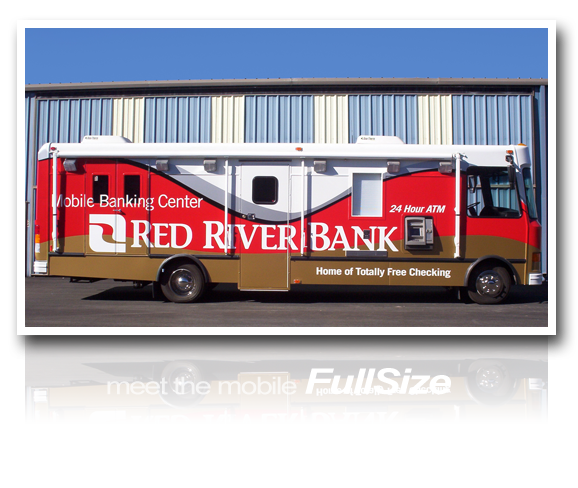 While smaller than our Full-Size mobile branch, the MidSize mobile branch takes advantage of a stretched cut-away chassis... offering more than 28 feet of self-contained functionality. 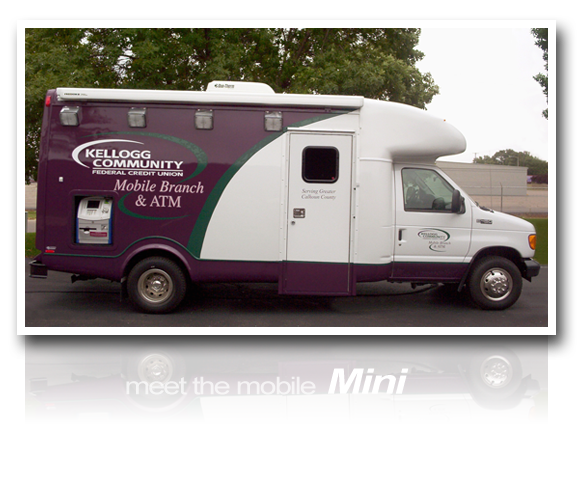 Because the Mini utilizes a standard cut-away chassis, it’s an extremely cost-efficient mobile branch solution. Our smallest mobile branch, measuring 22 feet in length, this platform can be modified to support an externally-accessed teller window.